Photo of Ronda Radley. Photo courtesy Rhonda Radley. 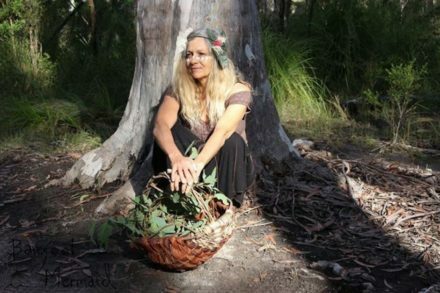 Rhonda Radley is a Birrbay woman from Port Macquarie. She is passionate about her connection with the land and promotes reconciliation and cohesion by sharing her cultural knowledge through stories, dance and language. Rhonda sits on the Local Aboriginal Land Council Board and supports the Werin Aboriginal Medical Service, and the Local Aboriginal Education Consultative Group. Rhonda is an activist in the Gathang Language Group where she advocates for Aboriginal Languages to continue to be taught, integrated and spoken. She also assists the University of Newcastle and Port Macquarie TAFE, working with Aboriginal staff and students. Rhonda has started a movement called Djiyagan Dhanbaan, meaning Strong Sister. This movement creates opportunities for Aboriginal and non-Aboriginal women to come together. Djiyagan Dhanbaan showcases artistic expression such as culture, music, language and dance to the wider community. We spoke with Rhonda to find out more about the positive work that Djiyagan Dhanbaan is achieving both in Port Macquarie and beyond. Can you tell us a little about yourself (your mob, growing up, inspiration etc.)? I’m a Birrbay woman – I was born in Port Macquarie, which is my grandfather’s country. I’ve grown up in the local area, but we have connections, bloodlines to the Dhanggati mob. I’ve worked and lived in both areas. I’ve had a lot of strong family women around me – aunties and grandmothers that really inspired me in many ways. I didn’t think too much of it, but they just went out and they were change-makers. For an example, my Auntie Bett, my Aunty/ Mother, she was the first Aboriginal woman to hold a fishing license in NSW. I really grew up with strong role models, but I was very close with my grandmother and she used to tell me many stories of her childhood. She was sent out to be a servant under the Aboriginal Protection Act and was living in the Kempsey area. We had many conversations about those days. So, I wanted to work within the context of reconciliation, understand more about our history and culture, so we can learn more about the Aboriginal stories and share with the wider community. You initiated the movement Djiyagan Dhanbaan meaning Strong Sister; what was your inspiration for establishing the group and what does the group do? The Djiyagan Dhanbaan movement was initiated to bring Aboriginal women of all ages together. It was actually the younger generation, the Aboriginal girls who were saying ‘What’s for us?’ so Djiyagan Dhanbaan started with a little group called Mitji Djiyaan, which is little sister group, and it’s really where we came together as a group of women to support the younger girls, and then it sort of mushroomed from there. We organised camps, social gatherings and we had many yarns about what we want as Aboriginal women. Djiyagan Dhanbaan, Strong Sister, is about looking after self, looking after family and looking after community. One thing we really strongly promote within the group is the revival of culture through language and practices, and that plays out in a number of ways. The group is not a stagnant group; it sort of flows. We’ve had over 120 Aboriginal women in one space, but, you know, there’s the core group of 10 Aboriginal women that create opportunities for other Aboriginal women to step into leadership, and for the younger generation to practise their culture and language. Our Languages Matter is this year’s theme for NAIDOC Week celebrations. Language is obviously an important driver for a lot of the work that Djiyagan Dhanbaan does, can you tell us about your advocacy work regarding Aboriginal Languages? I’ve been in the Gathang language space for about four years. I was brought up with a little bit of language around me. My grandmother said before she died, that it was one of her regrets, that she didn’t speak the language to pass it on to her children. I felt really compelled to learn my grandfather’s tongue, because this is the country that I live in. I did my Masters in Indigenous Language Education and that really excelled my learning, and also made me realise how much I didn’t know. At the same time, I was out there supporting other Gathang language learners. It’s the language of the land, and it is a way of connecting people back to their land, but for me, it is also about connecting back to my ancestors, honouring and respecting them in everything we do. Djiyagan Dhanbaan recently participated in the Barunga Festival, can you tell us about that experience and what the movement achieved during the Festival? We’ve just come back from the Barunga Festival, which is now in its 32nd year and is one of the most important and longest-running community festivals in regional Australia. We travelled there by bus, we had girls from ages 11 to about 70, a very big age difference. The trip was about cultural exchange with community in Barunga. We sat in circle with the women, and invited them down to Birrbay country for the women’s festival that we’re planning in 2018. They were happy to receive that invitation, a further opportunity for cultural exchange. Sitting in a circle, dancing with these women was a great privilege, and for the younger ones to see and experience this, they came back feeling stronger about staying with culture. They said they want to learn as much as they possibly can to ensure that it continues with their next generation. So, it was really heartfelt to hear this conversation. We’ve just been on the go since coming home. On the bus we learnt a song that we translated into Gathang language, another song we’re been presenting at local schools. We created a space for the younger ones to step into the leadership roles. We would sing with them, but now they’re taking leadership in teaching the songs. You applied to the Create NSW Aboriginal Quick Response funding round to help you get to Barunga and participate in the Festival. How did you find the application process and do you have any advice for potential applicants? We were really thankful and appreciative of that funding support, we’d been fundraising for two years or longer. We didn’t think we’d actually get over the mark until we received the funding. It really got us to Barunga, and that was pretty amazing as it assisted with the accommodation costs for part of the journey. Camping, packing, setting up, packing, then you’re on the road, it’s huge. The funding application process was user-friendly. I say to my mob that they should look for other sources of funding in addition to applying for government funding – you know, you will need to work towards your project as well. Don’t come up with ideas and then expect it to all be funded. Be creative around where you can generate your own funding, because there can be true ownership in your project. In the past, we’ve put in funding applications and got knocked back, but we didn’t see it as a negative; we just see it as a learning experience. We just sort of got better at it, maybe better at emphasising what we wanted to achieve – what was really the intent of the project or the program. We’re quite happy to put our hands up to help other groups on that journey – our journey hasn’t finished; we’re committed to Djiyagan Dhanbaan movement, nurturing and supporting other women. What’s next for Djiyagan Dhanbaan? We’re running the women’s festival next year. An open invitation for women to join us. That’s one thing that we’ll be definitely promoting. Come for cultural exchange, Aboriginal and non-AboriginaL together sharing their cultural knowledge and the space. To find out more about Aboriginal Quick Response funding, please click here.